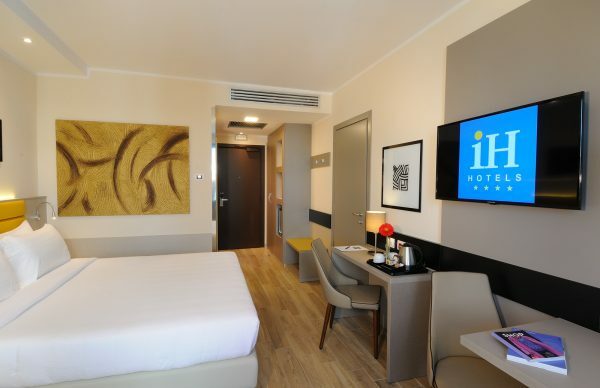 Sophisticated atmosphere, minimalist design and luxury finishes: at IH Hotels Milano Lorenteggio we care for you and we strive to give you the highest level of comfort and peace of mind to make your stay pleasant and unforgettable. 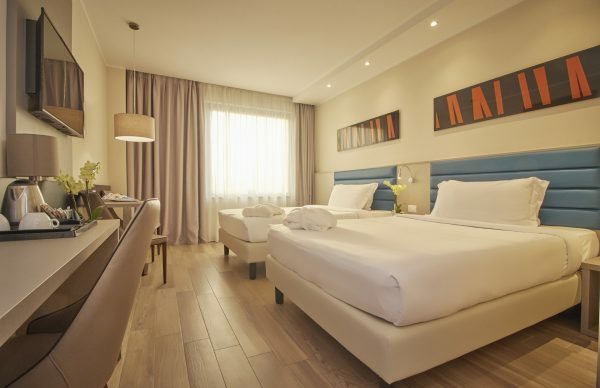 Our hotel is perfect for both leisure and business trips, and also for families with children: we have the best solution for any need you may have. 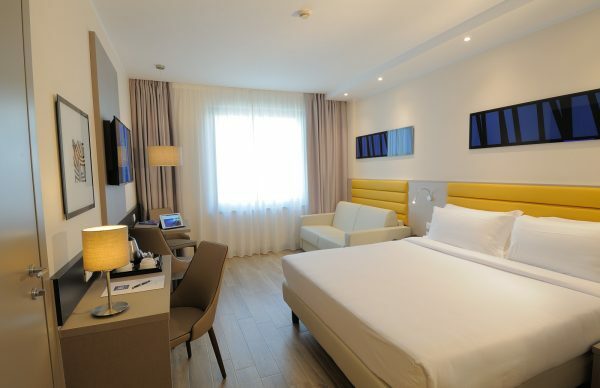 Besides our Standard or Superior rooms, adjoining rooms for disabled people are also available. 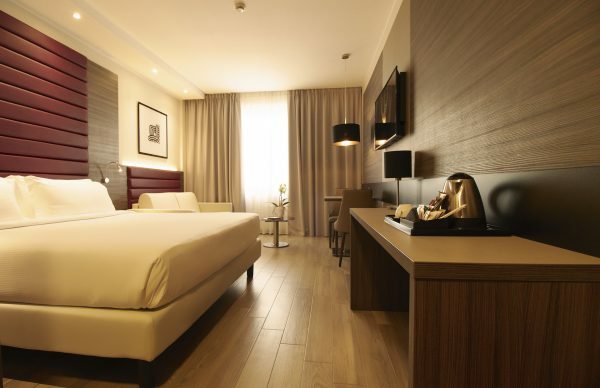 Our 128 rooms are completely soundproofed. They are all bright and finely furnished and were renovated in 2017. They are all equipped to make your stay pleasant and relaxing: air conditioning, safe, TV with free Mediaset Premium channels (Football, Champions League, Premium Cinema), writing desk, free national phone calls, private bathroom with shower or bathtub, hairdryer, hypo-allergenic pillows, courtesy set, mini-bar and high-quality mattresses to ensure excellent quality sleep. Every detail is designed with the aim of making your travel experience pleasant and to make you feel at home, even when you are on vacation.